Terms & Conditions : High season airfare supplement apply. Prices are from a starting price per person sharing, subject to change, airfare increase, currency fluctuations and availability. Taxes are estimated and based on the current exchange rate and are subject to change. Advance purchase, peak season surcharges, block out periods and minimum stay conditions may apply. Please note that airport taxes, fuel levies & surcharges are approximate and subject to change, the exact amount will be confirmed at time of booking. Valid for dates as specified. Group rates available on request. Thompsons Standard Terms and Conditions may apply. E & OE. Exclusions All Items of a personal nature. Meals not mentioned. Medical and Travel insurance. Transfers to and from airports & train stations. FLY-IN PACKAGE INCLUDES: Return flights from Johannesburg on Emirates including airline levy Return airport to hotel transfers 3 Nights accommodation in Moscow in 4* hotels Second class Moscow to St. Petersburg train ticket 4 Nights accommodation in St. Petersburg in 4* hotels Breakfast daily Lunch as per programme Excursions as per programme English speaking guide on excursions ITINERARY: Day 1 - Leisure Day 2 - Guided out-of-town excursion to Gorki Leninskye including lunch A 3 hour Moscow city sightseeing with photo shops (no entrances included) Day 3 - A walking tour of the Kremlin grounds and a visit to the Armoury A visit to the Armoury Chamber, A tour of the Moscow Metro, A walking tour of Arbat Day 4 - Tour of the Tretyakov Gallery Train from Moscow to St. Petersburg Day 5 - A 3 hour tour of St. Petersburg with photo shops (no entrances included) A 1.5 hour visit to Peter and Paul Fortress, A visit to the Peter & Paul Cathedral Day 6 - A 2.5 hour visit of Hermitage Day 7 - A guided tour to Pushkin Package is valid for Saturday departures only with a minimum of two people. Terms & Conditions : High Season tour supplement apply from: 11-18 May and 01-08 June 19 Prices are from a starting price per person sharing, subject to change, airfare increase, currency fluctuations and availability. Taxes are estimated and based on the current exchange rate and are subject to change. Advance purchase, peak season surcharges, block out periods and minimum stay conditions may apply. Please note that airport taxes, fuel levies & surcharges are approximate and subject to change, the exact amount will be confirmed at time of booking. Valid for dates as specified. Group rates available on request. Thompsons Standard Terms and Conditions may apply. E & OE. Exclusions All Items of a personal nature. Meals not mentioned. Medical and Travel insurance. Terms & Conditions : This tour combines two trips which means you swap your bus and guide during the journey Pack your waterproof clothing and walking shoes One 15 kilogram bag per person Unfortunately we don t carry anyone under 18 years old on this tour Prices are from a starting price per person sharing, subject to change, airfare increase, currency fluctuations and availability. Taxes are estimated and based on the current exchange rate and are subject to change. Advance purchase, peak season surcharges, block out periods and minimum stay conditions may apply. Please note that airport taxes, fuel levies & surcharges are approximate and subject to change, the exact amount will be confirmed at time of booking. Valid for dates as specified. Group rates available on request. Thompsons Standard Terms and Conditions may apply. E & OE. Exclusions The tour excludes entrance fees. All Items of a personal nature. Meals not mentioned. Medical and Travel insurance. Terms & Conditions : Prices are from a starting price per person sharing, subject to change, airfare increase, currency fluctuations and availability. Taxes are estimated and based on the current exchange rate and are subject to change. Advance purchase, peak season surcharges, block out periods and minimum stay conditions may apply. Please note that airport taxes, fuel levies & surcharges are approximate and subject to change, the exact amount will be confirmed at time of booking. Valid for dates as specified. Group rates available on request. Thompsons Standard Terms and Conditions may apply. E & OE. Exclusions The tour excludes entrance fees. All Items of a personal nature. Meals not mentioned. Medical and Travel insurance. Terms & Conditions : High season airfare supplement apply Prices are from a starting price per person sharing, subject to change, airfare increase, currency fluctuations and availability. Taxes are estimated and based on the current exchange rate and are subject to change. Advance purchase, peak season surcharges, block out periods and minimum stay conditions may apply. Please note that airport taxes, fuel levies & surcharges are approximate and subject to change, the exact amount will be confirmed at time of booking. Valid for dates as specified. Group rates available on request. Thompsons Standard Terms and Conditions may apply. E & OE. Exclusions The tour excludes entrance fees. All Items of a personal nature. Meals not mentioned. Medical and Travel insurance. Terms & Conditions : High season airfare supplement applies Prices are from a starting price per person sharing, subject to change, airfare increase, currency fluctuations and availability. Taxes are estimated and based on the current exchange rate and are subject to change. Advance purchase, peak season surcharges, block out periods and minimum stay conditions may apply. Please note that airport taxes, fuel levies & surcharges are approximate and subject to change, the exact amount will be confirmed at time of booking. Valid for dates as specified. Group rates available on request. Thompsons Standard Terms and Conditions may apply. E & OE. Exclusions The tour excludes entrance fees. All Items of a personal nature. Meals not mentioned. Medical and Travel insurance. Terms & Conditions : High season supplement apply Prices are from a starting price per person sharing, subject to change, airfare increase, currency fluctuations and availability. Taxes are estimated and based on the current exchange rate and are subject to change. Advance purchase, peak season surcharges, block out periods and minimum stay conditions may apply. Please note that airport taxes, fuel levies & surcharges are approximate and subject to change, the exact amount will be confirmed at time of booking. Valid for dates as specified. Group rates available on request. Thompsons Standard Terms and Conditions may apply. E & OE. Exclusions All Items of a personal nature. Meals not mentioned. Medical and Travel insurance. Transfers to and from airports & train stations. FLY-IN PACKAGE INCLUDES: Return flights from Johannesburg to St Petersburg flying out of Moscow on Emirates including airline levy Meeting on arrival Transfer from St Petersburg Airport to the hotel 3 Nights accommodation on a bed & breakfast basis 10 St Petersburg Metro Tickets per person Entrance to The Hermitage Museum Transfer from the hotel to St Petersburg Station 2nd class train ticket St Petersburg to Moscow Transfer to the hotel 3 Nights accommodation on a bed & breakfast basis 20 Moscow Metro Tickets per person 3 Day Moscow City Pass Transfer to Moscow Airport Package is valid for Tuesday arrivals only. Terms & Conditions : High Season tour supplement apply from: 14 May - 28 May & 11 June -16 July 19 Prices are from a starting price per person sharing, subject to change, airfare increase, currency fluctuations and availability. Taxes are estimated and based on the current exchange rate and are subject to change. Advance purchase, peak season surcharges, block out periods and minimum stay conditions may apply. Please note that airport taxes, fuel levies & surcharges are approximate and subject to change, the exact amount will be confirmed at time of booking. Valid for dates as specified. Group rates available on request. Thompsons Standard Terms and Conditions may apply. E & OE. Exclusions All Items of a personal nature. Meals not mentioned. Medical and Travel insurance. FLY-IN PACKAGE INCLUDES: Return flights with Emirates from Johannesburg to Milan including airline levies 3 Nights accommodation at the 4* Crowne Plaza Milan City Hotel in Milan. Breakfast daily. General Admission weekend (Friday - Sunday) tickets for the Italian Grand Prix. Ticket Details: This ticket provides access to the General Admission areas at Monza, which run around the inside of the circuit at the Curva Biassono, Lesmo, Curva del Serraglio and Parabolica. Seating is on grassy mounds, or small stands of 3-4 rows. Terms & Conditions : Prices are from a starting price per person sharing, subject to change, airfare increase, currency fluctuations and availability. Taxes are estimated and based on the current exchange rate and are subject to change. Valid for dates as specified. Group rates available on request. Thompsons Standard Terms and Conditions may apply. For standard terms and conditions refer to www.thompsons.co.za E&OE. Exclusions All Items of a personal nature. Meals and drinks not mentioned. Transfers. Medical and Travel insurance. Terms & Conditions : Valid for set departure date and for the tennis fixture on 09 July 2019 only. Prices are from a starting price per person sharing, subject to change, airfare increase, currency fluctuations and availability. Taxes are estimated and based on the current exchange rate and are subject to change. Valid for dates as specified. Group rates available on request. Thompsons Standard Terms and Conditions may apply. For standard terms and conditions refer to www.thompsons.co.za E&OE. Exclusions All Items of a personal nature. Meals and drinks not mentioned. Transfers. Medical and Travel insurance. Terms & Conditions : Date and time are subject to change. Event will not start before Friday at 19:45 and not after Monday at 20:00. Prices are from a starting price per person sharing, subject to change, airfare increase, currency fluctuations and availability. Taxes are estimated and based on the current exchange rate and are subject to change. Valid for dates as specified. Group rates available on request. Thompsons Standard Terms and Conditions may apply. For standard terms and conditions refer to www.thompsons.co.za E&OE. Exclusions All Items of a personal nature. Meals and drinks not mentioned. Transfers. Medical and Travel insurance. FLY-IN PACKAGE INCLUDES: Return flights from Johannesburg including airline levy 5 Nights accommodation in 3* hotels (2 Nights Madrid and 3 Nights Barcelona) on a room only basis Standard class rail ticket from Madrid to Barcelona. Hop on hop off bus in Madrid and Barcelona. Half day Toledo excursion in Madrid. Half day Montserrat excursion in Barcelona. Terms & Conditions : Prices are from a starting price per person sharing, subject to change, airfare increase, currency fluctuations and availability. Taxes are estimated and based on the current exchange rate and are subject to change. Advance purchase, peak season surcharges, block out periods may apply. Group rates available on request. Thompsons Standard Terms and Conditions may apply. E & OE. Exclusions Transfers to and from the station. All Items of a personal nature. Meals not mentioned. Medical and Travel insurance. Regional tourist tax. Terms & Conditions : Prices are per person sharing, with minimum of 4 people on board. Peak season surcharges may apply. Minimum 7 nights on board. Prices may vary for other model boat. Subject to availability at the time of booking. Deposit of 35% required to confirm. Exclusions Taxi transfers and other transport to and from the bases. Optional holiday extras (eg. Bicycles, cleaning pack, BBQ, etc). Meals & groceries. Marina fees. Security Deposit (Compulsory - payable on arrival). Fuel Deposit (Compulsory - payable on arrival). LAND ONLY PACKAGE INCLUDES: 3 Nights accommodation at the 4* Crowne Plaza Milan City Hotel in Milan. Breakfast daily. General Admission weekend (Friday - Sunday) tickets for the Italian Grand Prix. Ticket Details: This ticket provides access to the General Admission areas at Monza, which run around the inside of the circuit at the Curva Biassono, Lesmo, Curva del Serraglio and Parabolica. Seating is on grassy mounds, or small stands of 3-4 rows. Terms & Conditions : Prices are from a starting price per person sharing, subject to change, currency fluctuations and availability. Taxes are estimated and based on the current exchange rate and are subject to change. Valid for dates as specified. Group rates available on request. Thompsons Standard Terms and Conditions may apply. For standard terms and conditions refer to www.thompsons.co.za E&OE. 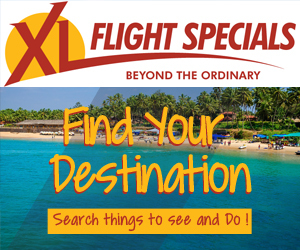 Exclusions Flights. All Items of a personal nature. Meals and drinks not mentioned. Transfers. Medical and Travel insurance. Terms & Conditions : Date and time are subject to change. Event will not start before Friday at 19:45 and not after Monday at 20:00. Prices are from a starting price per person sharing, subject to change, airfare increase, currency fluctuations and availability. Taxes are estimated and based on the current exchange rate and are subject to change. Valid for dates as specified. Group rates available on request. Thompsons Standard Terms and Conditions may apply. For standard terms and conditions refer to www.thompsons.co.za E&OE. Exclusions Flights. All Items of a personal nature. Meals and drinks not mentioned. Transfers. Medical and Travel insurance. Terms & Conditions : Valid for set departure date and for the tennis fixture on 09 July 2019 only. Prices are from a starting price per person sharing, subject to change, airfare increase, currency fluctuations and availability. Taxes are estimated and based on the current exchange rate and are subject to change. Valid for dates as specified. Group rates available on request. Thompsons Standard Terms and Conditions may apply. For standard terms and conditions refer to www.thompsons.co.za E&OE. Exclusions Flights. All Items of a personal nature. Meals and drinks not mentioned. Transfers. Medical and Travel insurance. Terms & Conditions : Prices are from a starting price per person sharing, subject to change, airfare increase, currency fluctuations and availability. Taxes are estimated and based on the current exchange rate and are subject to change. Advance purchase, peak season surcharges, block out periods and minimum stay conditions may apply. Valid for dates as specified. Group rates available on request. Thompsons Standard Terms and Conditions may apply. E & OE Exclusions All Items of a personal nature. Meals not mentioned. Medical and Travel insurance. Entry fees to visitor attractions. PACKAGE INCLUDES: 3 Nights Accommodation in a 4* Arctic Snow Hotel & Glass Igloos (2 Night in a Glass Igloo and 1 Nights in a Snow Igloo) Bed and Breakfast Ice Fishing Traditional Finnish sauna Northern lights watch Other activities on offer: A visit to a local home, Northern Light Safaris, Reindeer and Husky experiences A visit to Santa Village in Rovaneimi (free to visit Santa) is an absolute must! Terms & Conditions : Prices are from a starting price per person sharing, subject to change, airfare increase, currency fluctuations and availability. Advance purchase, peak season surcharges, block out periods and minimum stay conditions may apply. Valid for dates as specified. Group rates available on request. Thompsons Standard Terms and Conditions may apply. E & OE Exclusions All Items of a personal nature. Meals not mentioned. Medical and Travel insurance. Terms & Conditions : High eason airfare supplement apply Prices are from a starting price per person sharing, subject to change, airfare increase, currency fluctuations and availability. Taxes are estimated and based on the current exchange rate and are subject to change. Advance purchase, peak season surcharges, block out periods and minimum stay conditions may apply. Please note that airport taxes, fuel levies & surcharges are approximate and subject to change, the exact amount will be confirmed at time of booking. Valid for dates as specified. Group rates available on request. Thompsons Standard Terms and Conditions may apply. E & OE. Exclusions All Items of a personal nature. Meals not mentioned. Medical and Travel insurance. FLY-IN PACKAGE INCLUDES: Return flights from Johannesburg to Moscow flying out of St Petersburg on Emirates including airline levy Meeting on arrival at Moscow Airport Transfer to the hotel 3 Nights accommodation in Moscow on a bed & breakfast basis 20 Moscow Metro Tickets per person 3 Day Moscow City Pass Transfer to the railway station 2nd class train ticket Moscow to St Petersburg Transfer from St Petersburg Station to the hotel 3 Nights accommodation in St Petersburg on a bed & breakfast basis 10 St Petersburg Metro Tickets per person Entrance to The Hermitage Museum Transfer from the hotel to St Petersburg Airport Package is valid for Friday arrivals only. FLY-IN PACKAGE INCLUDES: Return flights from Johannesburg to St Petersburg flying out of Moscow including airline levy Meeting on arrival Transfer from St Petersburg Airport to the hotel 3 Nights accommodation on a bed & breakfast basis 10 St Petersburg Metro Tickets per person Entrance to The Hermitage Museum Transfer from the hotel to St Petersburg Station 2nd class train ticket St Petersburg to Moscow Transfer to the hotel 3 Nights accommodation on a bed & breakfast basis 20 Moscow Metro Tickets per person 3 Day Moscow City Pass Transfer to Moscow Airport Package is valid for Tuesday arrivals only. Terms & Conditions : High season airfare supplement apply. Block out dates apply on accoommodation from 16 May - 31 May 19 Prices are from a starting price per person sharing, subject to change, airfare increase, currency fluctuations and availability. Taxes are estimated and based on the current exchange rate and are subject to change. Advance purchase, peak season surcharges, block out periods and minimum stay conditions may apply. Please note that airport taxes, fuel levies & surcharges are approximate and subject to change, the exact amount will be confirmed at time of booking. Valid for dates as specified. Group rates available on request. Thompsons Standard Terms and Conditions may apply. E & OE. Exclusions All Items of a personal nature. Meals not mentioned. Medical and Travel insurance. Terms & Conditions : SAVE 15% Exclusive Thompsons for Travel - Book & Pay by 30 April 19 (This cruise only) Prices are per person sharing, with minimum of 4 people on board. Minimum 7 nights on board. Prices may vary for other model boat. Subject to availability at the time of booking. Advance purchase, peak season surcharges, block out periods and minimum stay conditions may apply. Valid for dates as specified. Group rates available on request. Thompsons Standard Terms and Conditions may apply. E & OE. Exclusions Taxi transfers and other transport to and from the bases. Meals & groceries. Marina fees. Security Deposit (Compulsory - payable on arrival). Fuel Deposit (Compulsory - payable on arrival). FLY-IN PACKAGE INCLUDES: Return flights from Johannesburg to Rovaniemi flying out of Helsinki including airline levy 3 Nights Accommodation in a 4* Arctic Snow Hotel & Glass Igloos (2 Night in a Glass Igloo and 1 Nights in a Snow Igloo) 1 Nights Accommodation at the Arctic City Hotel in a Comfort Room 1 Nights Accommodation at the Holiday Inn Helsinki City Centre in a Standard Room Bed and Breakfast Ice Fishing Traditional Finnish sauna Northern lights watch Other activities on offer: A visit to a local home, Northern Light Safaris, Reindeer and Husky experiences A visit to Santa Village in Rovaneimi (free to visit Santa) is an absolute must! Terms & Conditions : High season airfare supplement apply. Prices are from a starting price per person sharing, subject to change, airfare increase, currency fluctuations and availability. Advance purchase, peak season surcharges, block out periods and minimum stay conditions may apply. Valid for dates as specified. Group rates available on request. Thompsons Standard Terms and Conditions may apply. E & OE Exclusions All Items of a personal nature. Meals not mentioned. Medical and Travel insurance. Terms & Conditions : High season hotel supplements apply for weekend arrivals & stays (Fridays & Saturdays). High season supplement apply from 19 Dec 19 to 02 Jan 20 & 17 to 20 Feb 20 Prices are from a starting price per person sharing, subject to change, airfare increase, currency fluctuations and availability. Taxes are estimated and based on the current exchange rate and are subject to change. Advance purchase, peak season surcharges, block out periods and minimum stay conditions may apply. Please note that airport taxes, fuel levies & surcharges are approximate and subject to change, the exact amount will be confirmed at time of booking. Valid for dates as specified. Group rates available on request. Thompsons Standard Terms and Conditions may apply. E & OE. Exclusions All Items of a personal nature. Meals not mentioned. Medical and Travel insurance. Terms & Conditions : High season airfare supplement apply Prices are from a starting price per person sharing, subject to change, airfare increase, currency fluctuations and availability. Taxes are estimated and based on the current exchange rate and are subject to change. Advance purchase, peak season surcharges, block out periods and minimum stay conditions may apply. Please note that airport taxes, fuel levies & surcharges are approximate and subject to change, the exact amount will be confirmed at time of booking. Valid for dates as specified. Group rates available on request. Thompsons Standard Terms and Conditions may apply. E & OE. Exclusions The tour excludes entrance fees. Suggested drinks and tastings. Lunches, dinners. Fuel and other items not mentioned under included services. All Items of a personal nature. Medical and Travel insurance. Terms & Conditions : High season airfare supplement apply. Prices are from a starting price per person sharing, subject to change, airfare increase, currency fluctuations and availability. Taxes are estimated and based on the current exchange rate and are subject to change. Advance purchase, peak season surcharges, block out periods and minimum stay conditions may apply. Please note that airport taxes, fuel levies & surcharges are approximate and subject to change, the exact amount will be confirmed at time of booking. Valid for dates as specified. Group rates available on request. Thompsons Standard Terms and Conditions may apply. E & OE. Exclusions All Items of a personal nature. Meals not mentioned. Medical and Travel insurance. Regional tourist tax. Tips and Porterage, Entrance fees for Monuments, Tourist Taxes, Fuel. Terms & Conditions : High eason airfare supplement apply Prices are from a starting price per person sharing, subject to change, airfare increase, currency fluctuations and availability. Taxes are estimated and based on the current exchange rate and are subject to change. Advance purchase, peak season surcharges, block out periods and minimum stay conditions may apply. Please note that airport taxes, fuel levies & surcharges are approximate and subject to change, the exact amount will be confirmed at time of booking. Valid for dates as specified. Group rates available on request. Thompsons Standard Terms and Conditions may apply. E & OE. Exclusions All Items of a personal nature. Meals not mentioned. Medical and Travel insurance. Transfers to/from Station. City taxes which are payable upon check out. Car Rental. Terms & Conditions : High season airfare supplement apply Prices are from a starting price per person sharing, subject to change, currency fluctuations and availability. Advance purchase, peak season surcharges, block out periods and minimum stay conditions may apply. Please note that airport taxes, fuel levies & surcharges are approximate and subject to change, the exact amount will be confirmed at time of booking. Valid for dates as specified. Group rates available on request. Thompsons Standard Terms and Conditions may apply. E & OE. Exclusions All Items of a personal nature. Meals not mentioned. Medical and Travel insurance. Terms & Conditions : High season supplement apply Prices are from a starting price per person sharing, subject to change, airfare increase, currency fluctuations and availability. Taxes are estimated and based on the current exchange rate and are subject to change. Advance purchase, peak season surcharges, block out periods and minimum stay conditions may apply. Please note that airport taxes, fuel levies & surcharges are approximate and subject to change, the exact amount will be confirmed at time of booking. Valid for dates as specified. Group rates available on request. Thompsons Standard Terms and Conditions may apply. E & OE. Exclusions All Items of a personal nature. Meals not mentioned. Medical and Travel insurance. Terms & Conditions : High eason airfare supplement apply Prices are from a starting price per person sharing, subject to change, airfare increase, currency fluctuations and availability. Taxes are estimated and based on the current exchange rate and are subject to change. Advance purchase, peak season surcharges, block out periods and minimum stay conditions may apply. Please note that airport taxes, fuel levies & surcharges are approximate and subject to change, the exact amount will be confirmed at time of booking. Valid for dates as specified. Group rates available on request. Thompsons Standard Terms and Conditions may apply. E & OE. Exclusions All Items of a personal nature. Meals not mentioned. Medical and Travel insurance. Regional tourist tax. National toll fees. Terms & Conditions : Book & Pay by 30 April 19 (This cruise only) Deposit of 35% required to confirm. Prices are per person sharing, with minimum of 4 people on board. Peak season surcharges may apply. Minimum 7 nights on board. Prices may vary for other model boat. Subject to availability at the time of booking. Advance purchase, peak season surcharges, block out periods and minimum stay conditions may apply. Valid for dates as specified. Group rates available on request. Thompsons Standard Terms and Conditions may apply. E & OE. Exclusions Taxi transfers and other transport to and from the bases. Meals & groceries. Marina fees. Security Deposit (Compulsory - payable on arrival). Fuel Deposit (Compulsory - payable on arrival). Terms & Conditions : High season airfare supplement apply. Prices are from a starting price per person sharing, subject to change, airfare increase, currency fluctuations and availability. Taxes are estimated and based on the current exchange rate and are subject to change. Advance purchase, peak season surcharges, block out periods and minimum stay conditions may apply. Please note that airport taxes, fuel levies & surcharges are approximate and subject to change, the exact amount will be confirmed at time of booking. Valid for dates as specified. Group rates available on request. Thompsons Standard Terms and Conditions may apply. E & OE. Exclusions The tour excludes entrance fees. All Items of a personal nature. Meals not mentioned. Medical and Travel insurance. Regional tourist tax. Tips and guests extras. Terms & Conditions : High season airfare supplement apply. Prices are from a starting price per person sharing, subject to change, airfare increase, currency fluctuations and availability. Advance purchase, peak season surcharges, block out periods and minimum stay conditions may apply. Please note that airport taxes, fuel levies & surcharges are approximate and subject to change, the exact amount will be confirmed at time of booking. Valid for dates as specified. Group rates available on request. Thompsons Standard Terms and Conditions may apply. E & OE. Exclusions The tour excludes entrance fees. All Items of a personal nature. Meals not mentioned. Medical and Travel insurance. Regional tourist tax. Tips and guests extras. Terms & Conditions : High season airfare supplement apply Prices are from a starting price per person sharing, subject to change, currency fluctuations and availability. Advance purchase, peak season surcharges, block out periods and minimum stay conditions may apply. Please note that airport taxes, fuel levies & surcharges are approximate and subject to change, the exact amount will be confirmed at time of booking. Valid for dates as specified. Group rates available on request. Thompsons Standard Terms and Conditions may apply. E & OE. Exclusions The tour excludes entrance fees. All Items of a personal nature. Meals not mentioned. Medical and Travel insurance. Terms & Conditions : High season airfare and tour supplement apply. Prices are from a starting price per person sharing, subject to change, airfare increase, currency fluctuations and availability. Advance purchase, peak season surcharges, block out periods and minimum stay conditions may apply. Please note that airport taxes, fuel levies & surcharges are approximate and subject to change, the exact amount will be confirmed at time of booking. Valid for dates as specified. Group rates available on request. Thompsons Standard Terms and Conditions may apply. E & OE. Exclusions The tour excludes entrance fees. All Items of a personal nature. Meals not mentioned. Medical and Travel insurance. Regional tourist tax. Tips and guests extras. Terms & Conditions : High season and tour supplement apply. Prices are from a starting price per person sharing, subject to change, currency fluctuations and availability. Taxes are estimated and based on the current exchange rate and are subject to change. Advance purchase, peak season surcharges, block out periods and minimum stay conditions may apply. Valid for dates as specified. Group rates available on request. Thompsons Standard Terms and Conditions may apply. E & OE. Exclusions The tour excludes entrance fees. All Items of a personal nature. Meals not mentioned. Medical and Travel insurance. Regional tourist tax. Tips and guests extras.